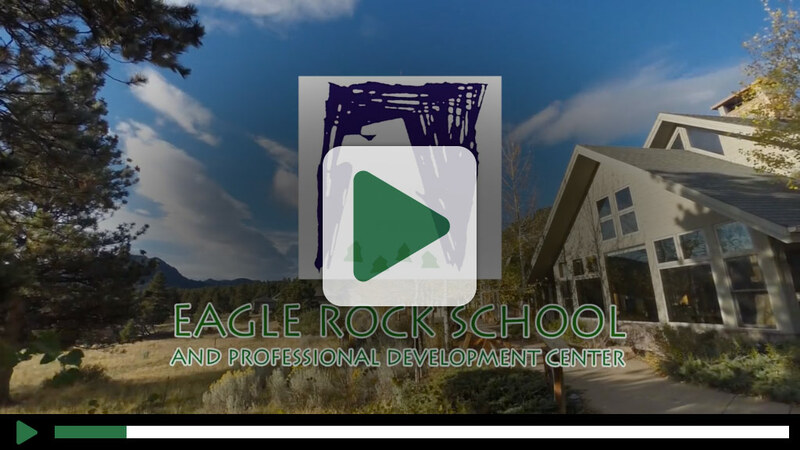 The Eagle Rock Professional Development Center works with educators committed to making high school a more engaging experience for our country’s youth. That’s because we envision this country’s high schools as high functioning centers of engagement and learning. Through our unique services and offerings we strive to accelerate school improvement and support implementation of engaging practices that foster each students’ unique potential and help young people use their minds well. Administering the Eagle Rock Teaching Fellowship Program, including the opportunity for licensure through the Colorado Department of Education in collaboration with Public Allies, Inc.
Hosting visiting educators from around the country at our 640-acre mountainside campus adjacent to Rocky Mountain National Park in Estes Park, Colorado. Providing tours of our campus. Offering a variety of learning opportunities to pre-student teachers, student teachers, graduate students and researchers. Publishing books about Eagle Rock (e.g., The Other Side of the Curriculum: Lessons For Learners and Engaging the Disengaged – How Schools Can Help Struggling Students Succeed), as well as chapters in books (e.g., 2014 National Society for the Study of Education (NSSE) Yearbook — Engaging Youth in Schools: Empirically-Based Models to Guide Future Innovations). The Professional Development staffers here at Eagle Rock are organizational school change consultants. They work with schools and school districts and youth service organizations across the United States to help those entities create healthy, high-functioning learning environments with the aim to improve student engagement. Are you ready to reengage youth in their own education? Take a deeper look at our Professional Development offerings. The Eagle Rock Blog is loaded with tons of resourceful reads. Here are some related articles.